From snow falling at the start line, to huge holiday character inflatables, holiday carolers, and festive participant shirts – this event has everything you need to start the season off right! Join us at the Fairplex in Pomona on December 14th & 15th, 2019. The Holiday Half Marathon starts and finishes in the main plaza of Fairplex So Cal, home of the LA County Fair. Runners do a small neighborhood loop before heading towards the oldest venue on the NHRA Full Throttle Drag Racing Series circuit, the Auto Club Raceway at Pomona. 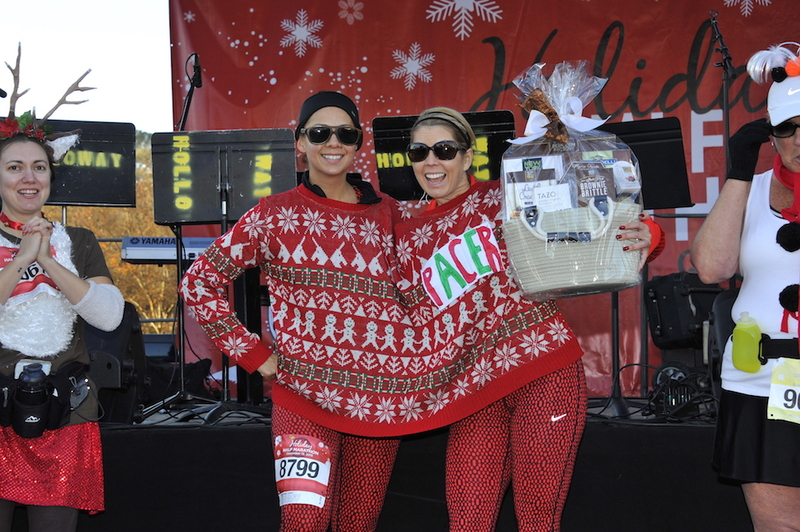 Your Company can partner with the Holiday Half Marathon. Connect with over thousands of runners from LA & Orange Counties and promote Your Brand to this highly engaged and loyal audience. In the second year of the Golden Snowflake Challenge, we saw over 600 runners complete the two day challenge! Are you up for it?